The scramblers are gaining the attention of buyers around the world and hence a number of motorcycle manufacturers have started producing scramblers on a large scale. Two major companies in the motorcycle market have unveiled their scramblers on the first day of EICMA 2015 itself. Ducati has launched its Scrambler Sixty2 and now the BMW Motorrad has launched the scrambler version of its R NineT first seen in Munich in 2013. The scrambler will make the boxer lovers all around the world happy as it uses the classic, air-colled, flat-twin boxer engine that has a history as old as 90 years. This 1170 cc engine is mated on a six-speed gearbox to produce 110 HP at 7,750 RPM and a peak torque of 116 NM at 6,000 RPM. The dry clutch is operated hydraulically. The scrambler has two vertical exhausts, one above the other. 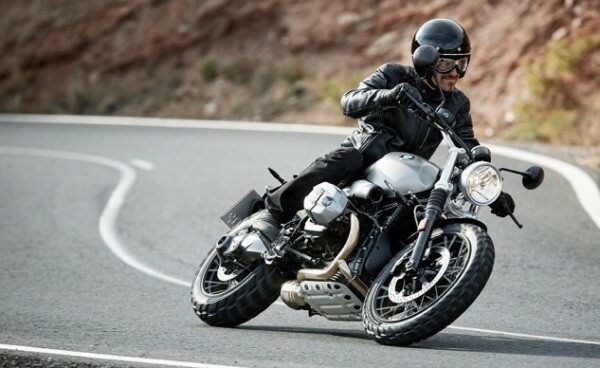 The 17-inch wheels on the R NineT are replaced by 19-inch cast alloy wheels wrapped by classic knobby tires. The front suspension has telescopic forks with rubber bellows and the rear is a paralever one-sided swinging arm shared by other boxer siblings. The front tire is a 120/70–19 and the rear is 170/60–17. The new BMW R NineT uses a dual 320 mm front disc with a 4-piston system at the front and the rear is a 265 mm floating disc with two pistons. 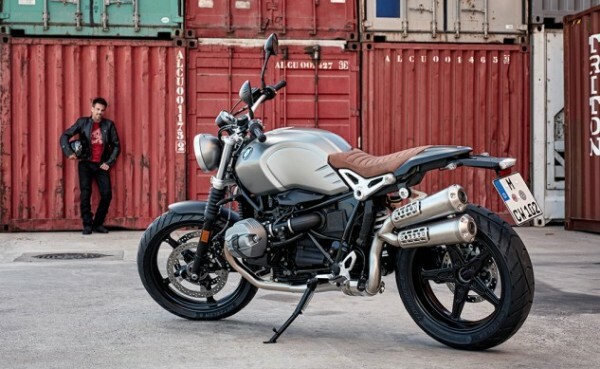 The bike has also retained many aspects from the original R NineT like the 4.5 gallon tank and the aluminium intake with the name R NineT embosed on it. The bike is painted with a Monolith metallic matte while the fork sliders, engine unit and wheels are classic black. The seating position is a bit more open to due to the use of a slightly higher bar and more rearward pegs. The components like wiring haarness were designed for easy customization and integration with factory accessories.